What is Infrared? Infrared light (experienced as heat) is the invisible part of the sun's spectrum with the ability to penetrate human tissue to produce a host of health benefits. It is naturally occurring from the sun and is the basis for all Sunlighten™ saunas. Far Infrared Health Benefits Because infrared sauna therapy heats the body directly rather than simply warming the air, it raises the core body temperature and produces a deep, detoxifying sweat at the cellular level, where most toxins reside. Far infrared also aids in blood pressure reduction & weight loss, burning up to 600 calories in one 40 minute session! KASIA Offers 15 and 30 minute sessions. Contact us today! 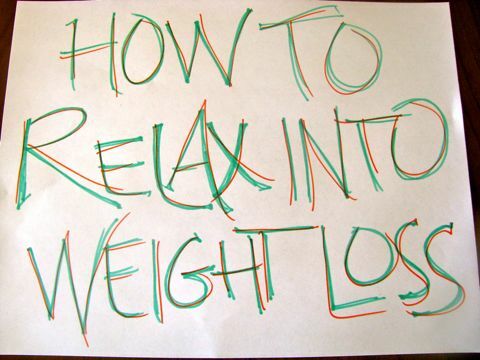 In the mood to lose weight? Sunlighten can help. Our saunas promote weight loss by burning calories while you relax in total comfort. The secret is out on sauna weight loss. Maintaining a healthy weight is important to your overall quality of life. That’s no secret. In fact, a 10-year study published by The New England Journal of Medicine discovered that the circumference of your waist alone is a critical factor for assessing the risk of premature death. In other words, by maintaining a healthy weight, you may be able to live a longer, healthier life. Plus, regular use of a Sunlighten sauna may provide many of the same benefits as regular exercise, such as cardiovascular conditioning. That’s right, using Sunlighten for infrared weight loss therapy is like giving yourself a passive cardio workout – wherever and whenever you need it! Reports from the United States Center for Disease Control estimate that over 80% of all illnesses have causes rooted in personal environments or lifestyles. In an industrialized society, we can do little to reduce exposure to toxins in the air we breathe and the food we eat. As a result, sauna detox has become a leading treatment to achieve greater health and wellness. The far-infrared heat generated by a Sunlighten sauna produces sweat that carries nearly 20% toxins. In a traditional sauna, you can only expect up to 3% toxins. As such, a sauna detox in a Sunlighten sauna is up to 7 times more effective than in a traditional sauna. This incredible detoxification is accomplished through Sunlighten’s proprietary and highly-efficient infrared heating technology. Sunlighten’s heating technology is the only sauna heater clinically shown to actually raise core body temperature by 2 to 3 degrees (vs. simply heating the air around the body). SEE STUDY. As a result, regular usage of a Sunlighten sauna provides a truly deep, productive and detoxifying sweat at the cellular level, where toxins reside. As part of a sauna skin therapy program, help restore skin to a youthful appearance. A study published in The Journal of Cosmetic and Laser Therapy showed significant improvements in skin appearance after just 12 weeks of sauna skin therapy using near-infrared technology. Participants experienced a reduction in wrinkles and crow’s feet, as well as improved overall skin tone, including softness, smoothness, elasticity, clarity and firmness.1 Sunlighten’s Solocarbon Custom Spectrum is the only infrared sauna heater on the market with near-infrared technology! Sunlighten infrared sauna owners love to tell us about the pain relief properties of their sauna sessions. You too can toss the pain pills and step into one of our healing infrared sanctuaries to relieve tension and relax muscles. Sunlighten infrared sauna heat works by penetrating joints, muscles and tissues, increasing circulation and speeding oxygen flow. By reducing soreness on nerve endings, our infrared heat reduces muscle spasms and helps the body heal itself naturally. Sunlighten saunas are guaranteed to help you relax in natural comfort with an invigorating deep tissue sweat that will have you feeling fully refreshed after every sauna session. Stay healthy with the natural preventive properties of Sunlighten’s exclusive heating technology, which aids in cell health, muscle recovery and overall immunity defense. Sunlighten infrared therapy stimulates the circulatory system, causing the heart to beat more vigorously and blood vessels to dilate, which help cleanse the circulatory system and more fully oxygenate the body’s cells. A study done at the Medical College of Wisconsin demonstrated that LED-produced near infrared (NIR) helps promote cell health and regeneration.2 The LEDs in our Solocarbon Custom Spectrum heaters produce infrared in this same range. Newer PostKasia Organics Black Friday thru Cyber Monday Online SALE!